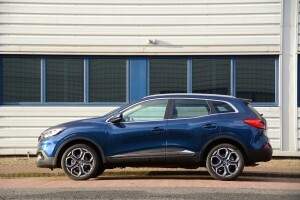 The Renault Kadjar looks good, drives well, and has excellent official and real-life economy; overall it’s an appealing package apart from a few details that let it down. This is a now-familiar story: sales in the family crossover sector are booming (one car in every five sold around the world today is a crossover, but this figure is almost one in four in Europe). Nissan is doing very well from this with the Qashqai, but although Renault has the compact Captur crossover, so far it hasn’t had a serious offer in the C segment. 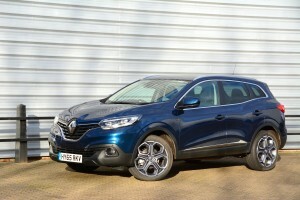 That has now all changed with the Kadjar. Benefitting from the platform-sharing (and so cost-saving) opportunities of the Renault-Nissan Alliance, the Kadjar has the same base as the Qashqai. On top of the chassis sits bodywork in the Renault design style, and we think it looks good. 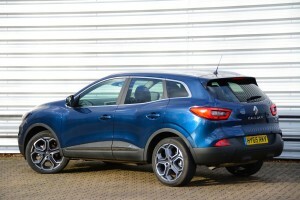 Does it look better than the Qashqai? It’s a matter of preference; the worst case scenario is that it offers an alternative, but in our view the Kadjar is a good-looking car. 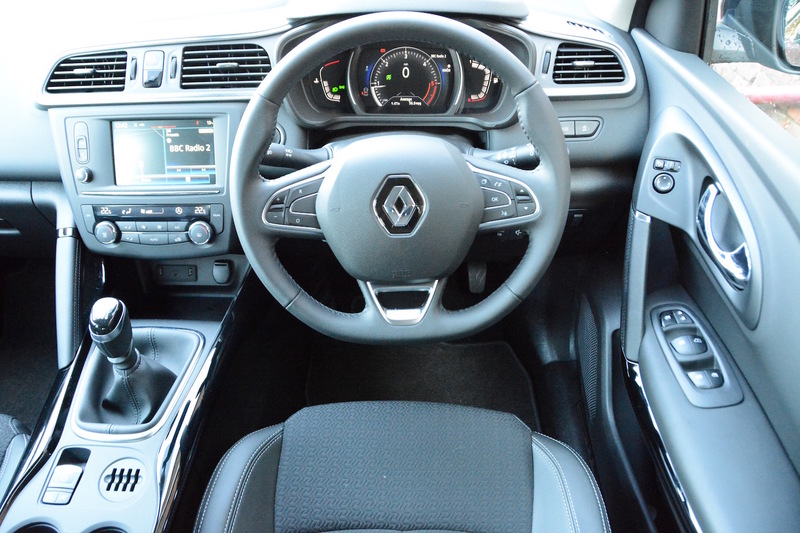 The interior also looks stylish and modern, even if it’s not as upmarket and ‘shiny’ as some rivals. We’d say it was perfectly fit for purpose. There’s a reasonable amount of space for people and luggage, but the boot floor is quite high. Under the skin of our test car is a 1.5-litre turbodiesel engine mated to a 6-speed manual gearbox, and front-wheel drive. 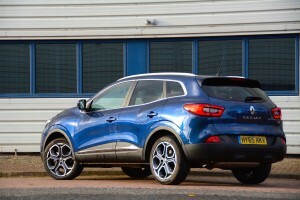 The headline is that the Kadjar is pleasant to drive. The engine has good amounts of torque and is mostly flexible and responsive, and the 6-speed manual gearbox is smooth enough. The car is generally quiet overall and it’s happy for the majority of the time on motorways. The chassis feels quite agile, helped by the relatively light kerb weight of 1380kg. The primary ride is mostly comfortable, however the secondary ride can be quite harsh over potholes. 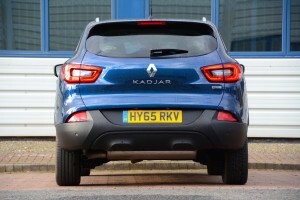 So overall the Kadjar performs well in normal driving. However it struggles if you ask too much of it in the acceleration department. A 0-62mph time of 11.9 seconds is never going to result in performance car-levels of progress, but it’s the acceleration (or rather the lack of it) at motorway speeds when this issue becomes more of a problem. But then there are a few details that spoil the overall experience. The first of these is hardly a problem with the car itself, but rather with the key fob. The entire key fob – including all buttons – is black. This makes it very annoying when trying to lock or unlock the car at night, when you have no idea where the lock/unlock buttons are. Then every time you start the car you get a message on the touchscreen saying ‘SMS unavailable, you must activate this feature on your device’. You then have to press the screen every single time to get rid of the message. If you owned the car you’d sort this out; when living with the car for a week, having to deal with the same message every time you drove the car became tedious. To get to the home display on the touchscreen you have to press the home button on the side of the screen. You then get a screen with a clock, then you have to press the menu button on the screen, so you have to press buttons twice to get to the home screen – another detail that could have been better thought through. Then there’s the normal issue of having very small buttons on the touchscreen to press (eg. to enter a postcode on the satnav) – not easy even for a passenger to do when the car is moving. We thought the infomedia system in the Clio was very good, so we’re not sure why the Kadjar seems to have a few minor issues in this area. Perhaps the biggest issue is that the stop start didn’t re-start on a number of occasions, and there were also a few rattles/creaks present in the interior – both of these issues are very unusual in today’s press cars. The official NEDC fuel economy for the Kadjar is 74.3mpg, equating to 99g/km CO2 emissions. For a crossover body shape, this is excellent. However, as we know, this economy figure won’t translate into real-life. At 70mph on the motorway the Kadjar returned 57.4mpg – which is impressive. Around town we averaged 47.3mpg. Overall after a week of mixed driving the Kadjar averaged 50.6mpg – this is good for any car, but especially for a reasonably large crossover, as poor aerodynamics and excess weight usually count against good real-life economy in crossovers and SUVs. One point to note is that Renault (responsibly) quotes different mpg and emissions figures for different-sized wheels; 74.3mpg/99g/km CO2 emissions for 16-inch & 17-inch wheels, but this increases to 72.4mpg and 103g/km CO2 for 19-inch wheels. 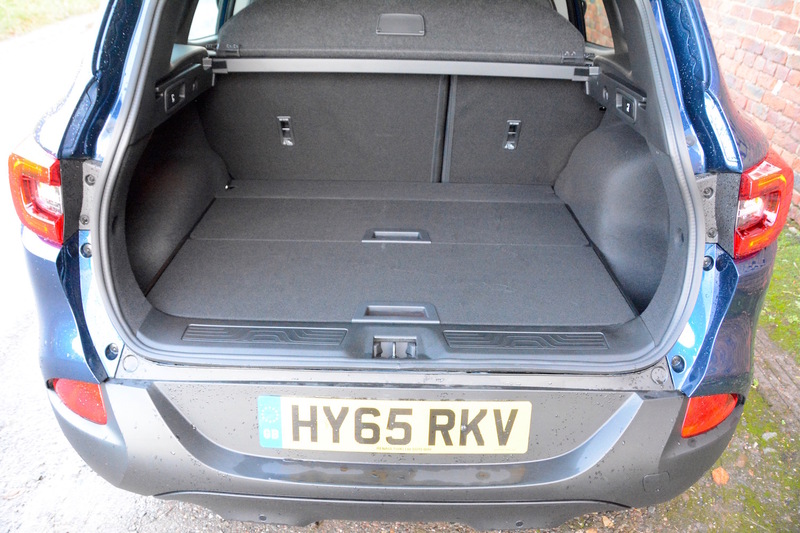 The base price of our test car was £22,395. It had the options of metallic paint (£525) and an emergency spare wheel (£95), taking the price to £23,015. It also had the ‘no cost option’ of 17-inch alloy wheels, which reduce the CO2 to 99g/km. 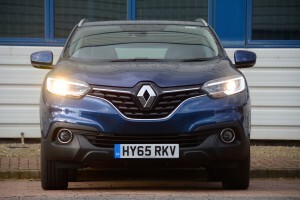 You can easily hit £25-£30,000 as soon as you combine the words ‘family’ and ‘crossover’, so £22-£23,000 for a car such as the Kadjar is good value. In total there are 18 Kadjar models, including three engines, two gearboxes, a choice of front or four-wheel drive, and four trim levels: Expression+, Dynamique Nav, Dynamique S Nav and Signature Nav. The other two engines available are the 1.2-litre turbocharged TCe 130 four-cylinder direct-injection petrol unit and the 1.6-litre ENERGY dCi four-cylinder 130 diesel. The EDC gearbox is available with the dCi 110 engine (as tested) and four-wheel drive is offered with the dCi 130 in the three upper trim levels. We think the Renault Kadjar looks great, and overall, the driving experience is good. It’s also very economical on paper, and still pretty respectable in real-life driving. It’s also practical, and good value. Appearance, driving experience, economy, practicality and value are five of the top things we look for in a car, so the Kadjar ticks our most important boxes. Unfortunately it comes back to what is increasingly the case with many cars that we test – it’s just some small but potentially annoying details that let it down in terms of the prospect of having to live with it every day. 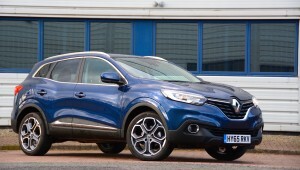 Usually it’s infomedia-related issues that are the problem, as is the case with the Kadjar. 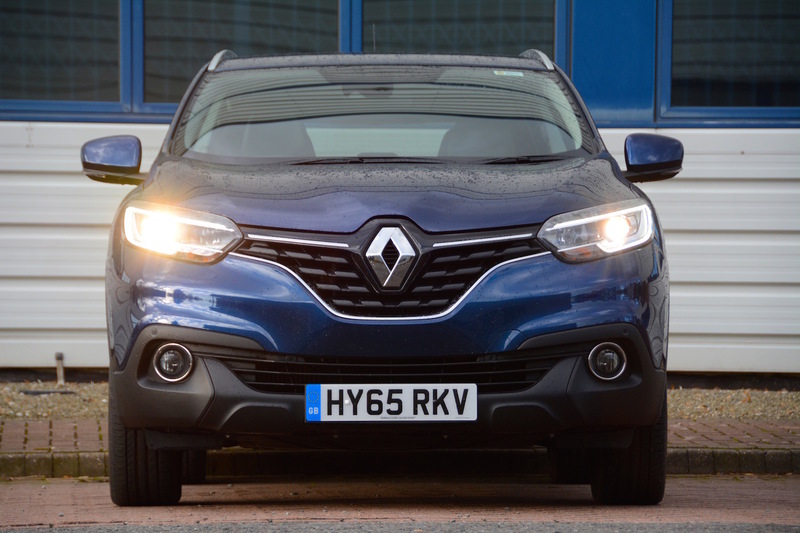 It’s shame that such details spoil what is a very good car overall; but the Renault Kadjar still gains a Green Car Guide rating of 8 out of 10.